One of my favorite things about my job is getting to interact with such a positive, loving and outspoken community. I love welcoming new couples into our Disney family and celebrating with those who have been part of our community for years. With that said, I'd like to do a Social Roundup every so often to make sure any questions you may have across all of our social channels are heard and answered. So whether you are new to the family like Kimberly who wed with us on 10/10/10, joining the family like Monique on 11/11/11 or a honeymooner like Erin raise your hand if you've got something to say! As always, feel free to tweet us with questions you may have, or leave them in the comments below. This week I got a few questions about Major Domo after we posted a picture of him on our Facebook page. 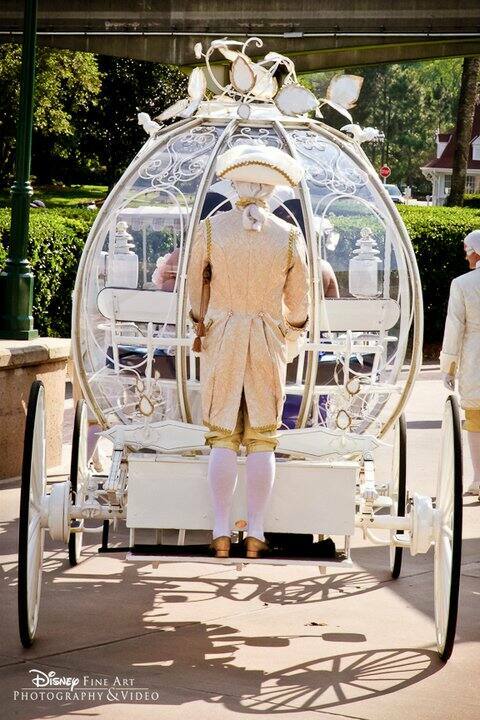 Community member Amanda hit it right on the ball- you don't have to have Cinderella's Coach in order to have Major Domo at your Disney's Fairy Tale Wedding. Major Domo, the royal footman from Cinderella, is a master of ceremonies and can walk your rings down the aisle in a glass slipper or even announce you with a royal proclamation at your reception. The Renaissance-costumed Major Domo is one of my personal favorites- he is the perfect addition to any royal celebration!